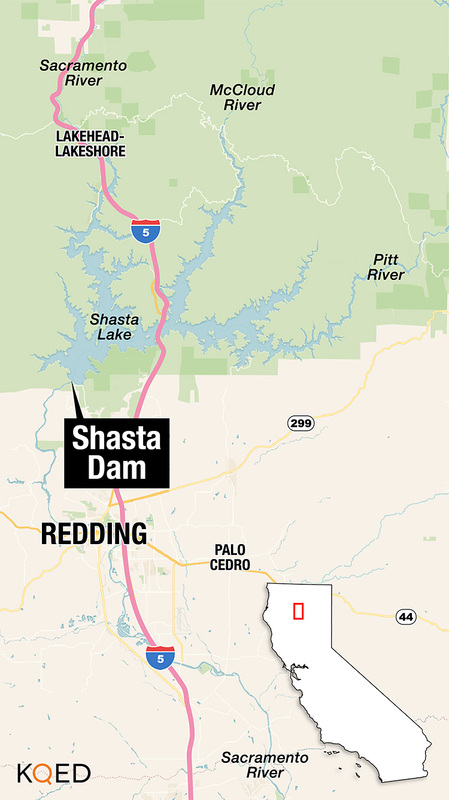 The Trump administration is laying the groundwork to enlarge California’s biggest reservoir, the iconic Shasta Dam, north of Redding, by raising its height. It's a saga that has dragged on for decades, along with the controversy surrounding it. But the latest chapter is likely to set the stage for another showdown between California and the Trump administration. Last fall, crews already had drilling rigs in place, taking core samples from the earthen banks around the 600-foot dam. That process was part of testing to see if its World War II-era foundation can support additional bulking up of the dam. This is what the federal Bureau of Reclamation calls “preliminary construction” work. For now, that’s all they have funding for, but the Trump administration is keen to press on with a $1.3 billion project to add more than 18 feet to the top of the dam, which is already taller than the Washington Monument. 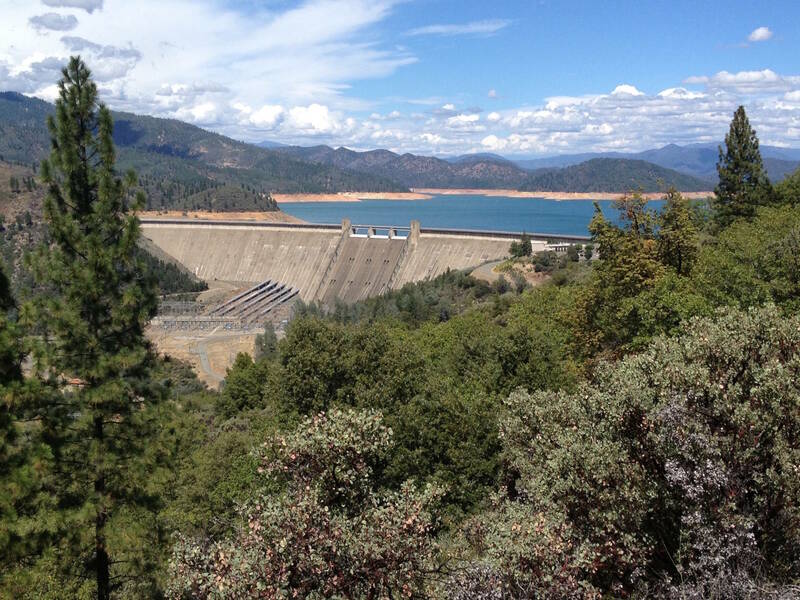 That would increase the size of the reservoir, Shasta Lake, by 14 percent. 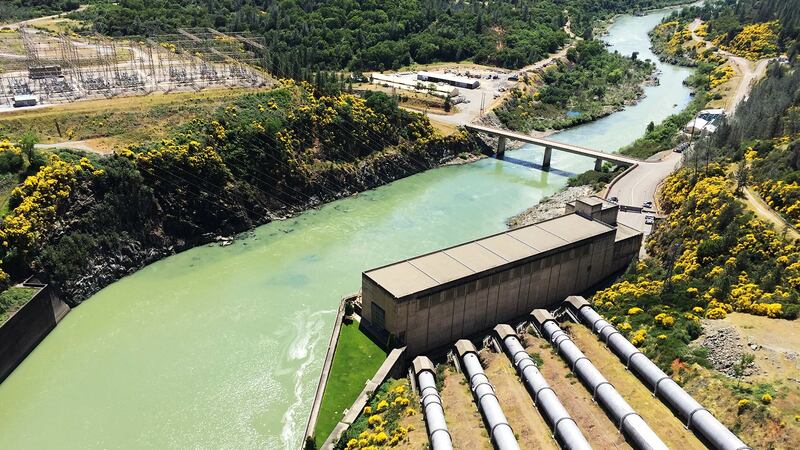 "We’re extremely confident that there’s a lot of momentum behind this right now," says Don Bader, area manager for the reclamation bureau, which operates the dam. But that momentum is coming from Washington, not Sacramento. "The new administration came in and they’re looking to add storage in California," Bader explains, "and this was the one project that was ready to go, so that’s why it’s got most of the attention right now." The project has also caught the attention of California officials, who say it violates the state’s Wild & Scenic Rivers Act, which protects one of the three major rivers that flow into Shasta Reservoir. 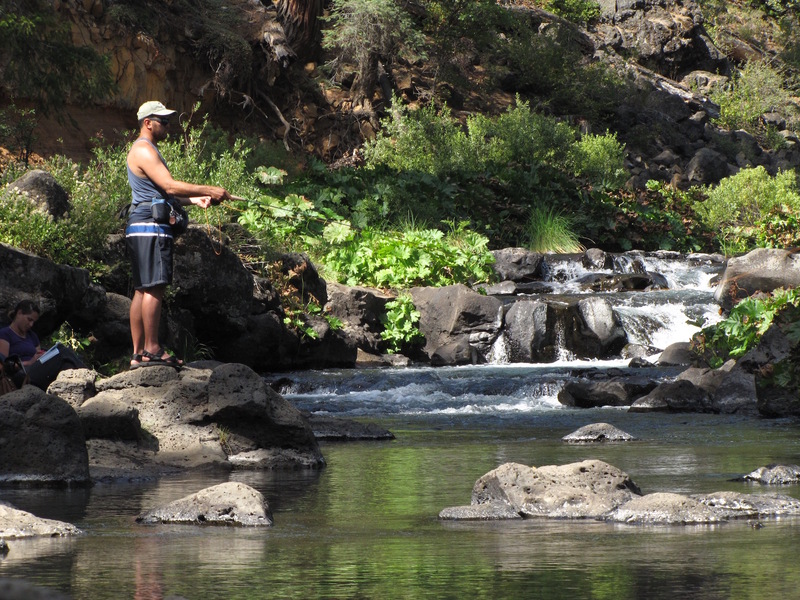 "The California Legislature protected the McCloud River from any construction that would expand the reservoir," says Ron Stork, of the advocacy group Friends of the River. "It’s been illegal to expand this reservoir since 1989." Environmentalists say that the $1.3 billion dollars could be better spent on more creative ways to conserve water, such as recycling, stormwater capture, and storing more water in underground aquifers. But President Trump is on the record promising Central Valley farmers more water. "Any bean-counter would say this is crazy," says Stork. "But this is a political dam." The additional 630, 000 acre-feet of capacity would be like taking Hetch Hetchy Reservoir -- the Sierra lake that supplies San Francisco -- and dumping it into Shasta ... twice. But nature is not likely to fill that order every year. Stork says the project would likely yield only about 50,000 acre-feet of water on average, annually. That's a drop in the bucket relative to California's water budget. In December, Stork joined about 200 others at an “open house” in Redding, designed to inform stakeholders about the project. One of them was Caleen Sisk, chief of the Winnemem Wintu tribe, whose sacred grounds run along the McCloud River. She says the tribe already lost many of its sacred sites when the original reservoir was filled, back in the 1940s. The expansion would raise the lake level by about another 20 feet, pushing it farther up the McCloud River. "For us, we have to be connected to those sacred places," says Sisk. "And we’ve already lost 26 miles in the building of Shasta Dam -- 26 miles have been given up." Sisk's people still use numerous sites along the lower river for rituals, including rites of passage for young Wintu coming of age. Sisk says nearly all of the tribe’s remaining sites would be put permanently underwater with the reservoir’s expansion. 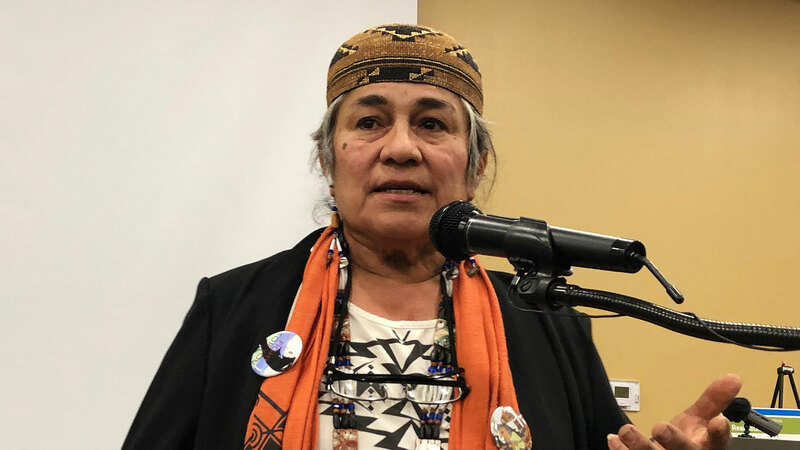 Reclamation says it’s “talking” with the Winnemem Wintu, but Sisk has a different take. "We’re not talking," she says, "we’re explaining what we’re losing. And they’re not listening." Sisk was distressed to see the meeting in Redding being run by Westlands Water District, a politically powerful irrigation district based more than 300 miles away, in Fresno, which could be the chief beneficiary of any additional water from the project. It has also raised eyebrows that David Bernhardt, Trump's acting head of the Interior Department, which includes Reclamation, is a former lobbyist for Westlands. Westlands was hosting the Redding meeting because it’s preparing an environmental impact report for the project. Reclamation needs an investment “partner” to close the deal, and though there’s been no formal announcement, many assume that Westlands will put up hundreds of millions of dollars toward the project, in exchange for rights to the water it yields. "That they would have the sheer boldness to do an EIR for an illegal project is still -- it’s stunning to me," says Stork. A consulting firm conducted the meeting on Westlands' behalf, and while there was one Westlands official in attendance, consultants said he was "not authorized to talk to the media." Several subsequent calls and emails to Westlands for this story went unanswered. Still, the Bureau of Reclamation has made it clear that it intends to press on. "We’re proceeding along the federal route here," says Bader. "If California does not participate in this process, we’ll move along forward by getting the federal approval." Some might interpret that as saying they’re going through with this regardless of what California thinks. "That’s one way to say it," says Bader. From Bader’s standpoint, there’s a lot at stake. Shasta’s the keystone in the giant Central Valley Project, which sends water to farms and cities in 29 California counties. But dams have consequences. "Every time you put up a dam on the Sacramento River, it's going to be bad for wildlife." John McManus heads the Golden Gate Salmon Association, an advocate for protecting the threatened fish ... and the industries they support. "And right now," he says, "what they're talking about is adding more insult to injury by raising that dam, impounding more water behind it, and further impairing salmon runs downstream." But in 2014, the federal government’s own Fish & Wildlife Service recommended against the project, concluding that it would fail to protect endangered salmon in the Sacramento River and its tributaries. That report was later “rescinded” for further review, and has not resurfaced officially. Reclamation officials hope to award a construction contract by the end of next year, and complete the project by 2024. McManus thinks the courts will ultimately rule against the project -- if it gets that far. With Democrats now in control of the House, congressional funding to elevate Shasta Dam might be another stream that gets cut off. "My view is they will ultimately be stopped," offers McManus, "but I could be wrong. It wouldn't be the first time."